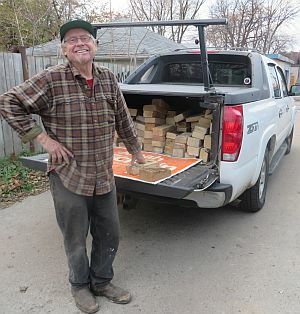 Alan came by with a truckload of firebricks from behind the factory. So now we have all the bricks we need. 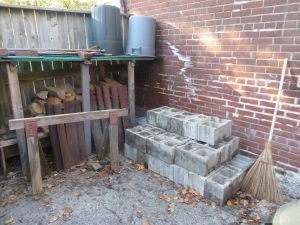 Plus I found the unused sack of clay powder left over from our hearth fixing bee with Jonathan White at Dufferin Grove last year. 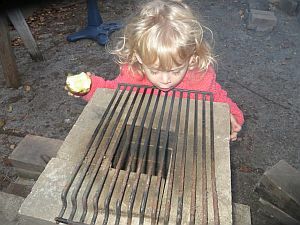 As for ovens, yes, I think 3 steps up is probably good -- esp. if the fireman says it burns better that way. I would try to stick to the 63% rule (door to interior dome height) -- and try to keep the highest point of the dome to about 16" (6 - 8 courses of brick, depending on thickness). 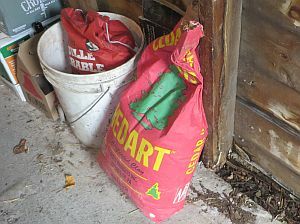 Clay mortar is also good, and was/is often used for permanent installations (I just finished building my code-approved heater w/clay-sand mortar, and (as I think you know) many clay- or clay-sand ovens have been approved for commercial use). 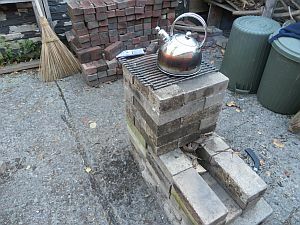 Indeed, you could use old bricks and clay mortar to build an oven even more beautiful than that outrageous $161k oven. 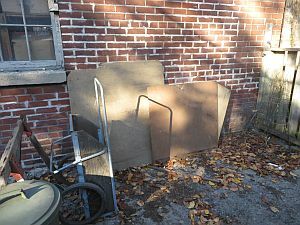 Here's an MHA oven built w/clay mortar that you could improvise w/your supplies. The Forno Bravo style round oven can be built with half bricks and clay-sand mortar. There's lots of videos out there. And of course there's mud -- a bit cold in the winter. As you know, price and culture are often mutually exclusive. 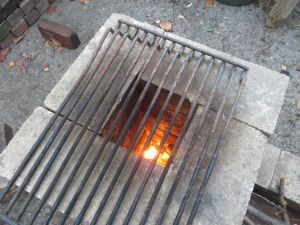 I'm sure you've trolled around on the web for other campfire/cooking stuff, but here's one I just watched and like a lot: a single log that can serve as a stove and a (small) campfire, good for many hours of use. 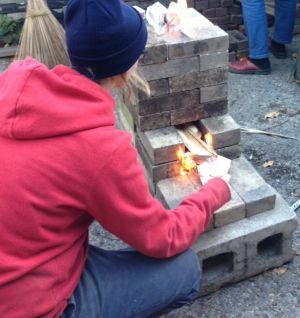 And of course there are all kinds of simple rocket stove designs -- similar to the ones you've got, some simpler, some more complex.